Today (April 21) is release day for Ron Sexsmith, who just unloaded The Last Rider album. To celebrate a bit, the Canadian songwriter has also shared a new video for album track "Radio." 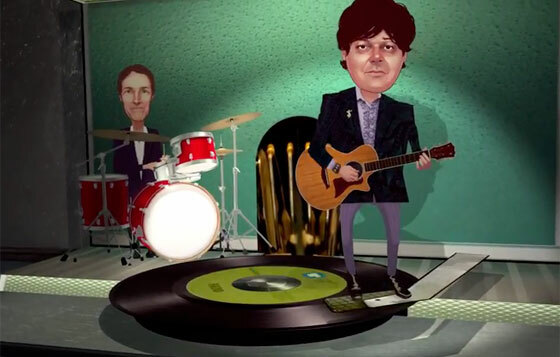 As you'll see, the clip features animated versions of Sexsmith and his band, who often can be found spinning around a turntable. The video was created by Sexsmith's guitar player Kevin Lacroix, and you can watch it below. The Last Rider is out now via Warner Music. You can also see all Sexsmith's upcoming tour dates here.